A yogi still believed to be exist in physical form Babaji is reputed to be ageless, roaming the Northern Himalayan mountains with his disciples, Babaji was first heard of in the book "Autobiography of a Yogi" by Swami Paramahamsa Yogananada. Babaji is believed to be the incarnation who revived the science of Kriya yoga and spread it to the modern world through his disciple Lahiri Mahasaya. 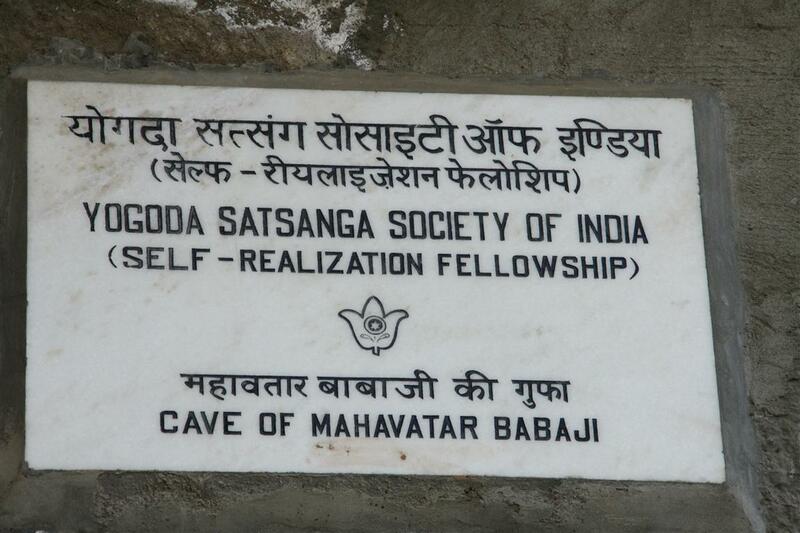 It is here in this cave that Babaji imparted Kriya Yoga to Lahiri Mahasaya.Where is cave located? 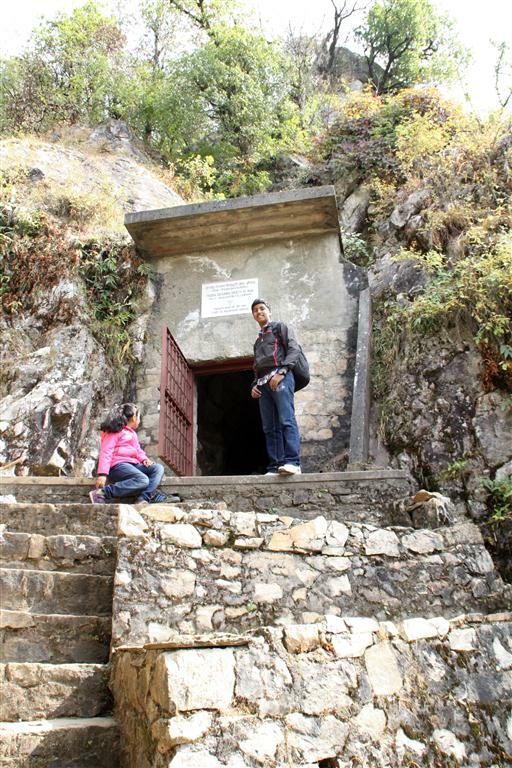 The cave of Babaji is located in Kukuchina, on the Dunagiri (Dronagiri) mountain in Uttarakhand. 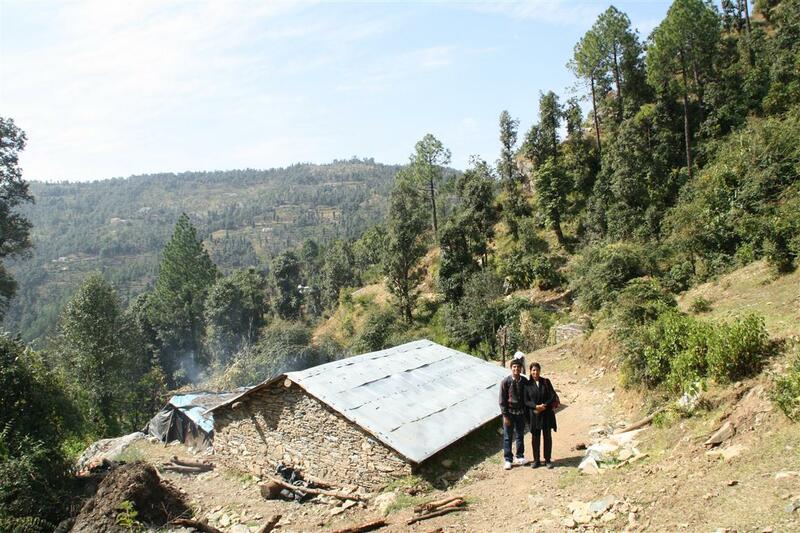 Our trip started from Delhi where we drove to Ranikhet, put up in a farm house here to visit the cave. After breakfast, a slightly windy October morning we set out to find the divine place where we longed to go for quite a long time. 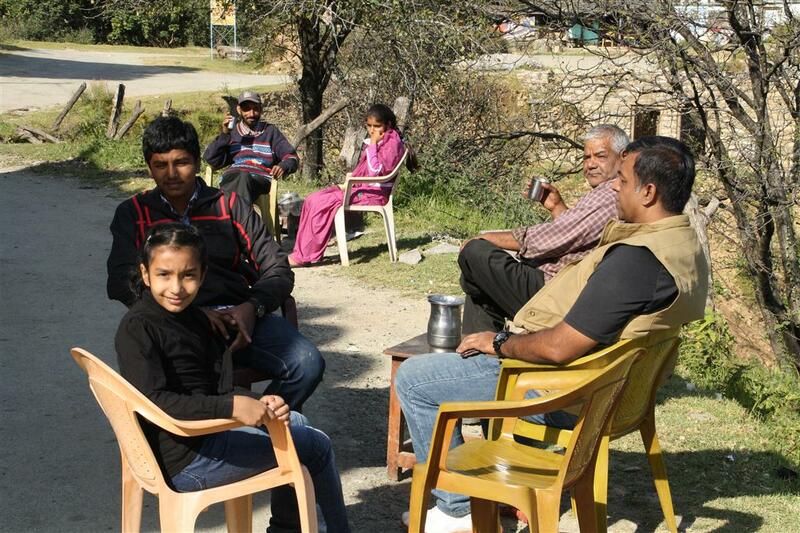 We drove down to Dwarhat nearly 35 kms away which took an hour. 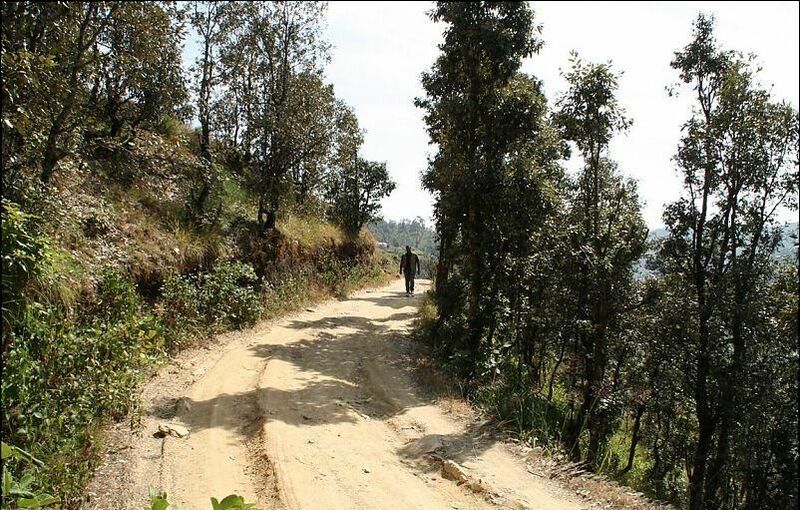 The winding roads takes you around and around the green mountains, where at a distance the snow capped Himalayan peaks appear nearby but get lost as we drive further. 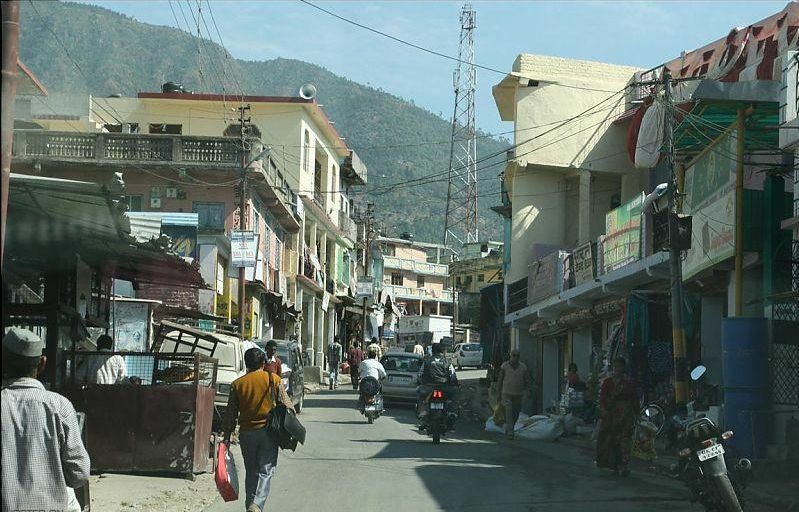 We reach a village Dwarhat with a busy market place where we enquire the road to Kukuchina. The villagers are very helpful and hospitable to guide us correctly with tips to reach there. Dwarhat to Kukuchina is another 15kms. Kukuchina is a small village which appears sparsely inhabited and the road ends here. 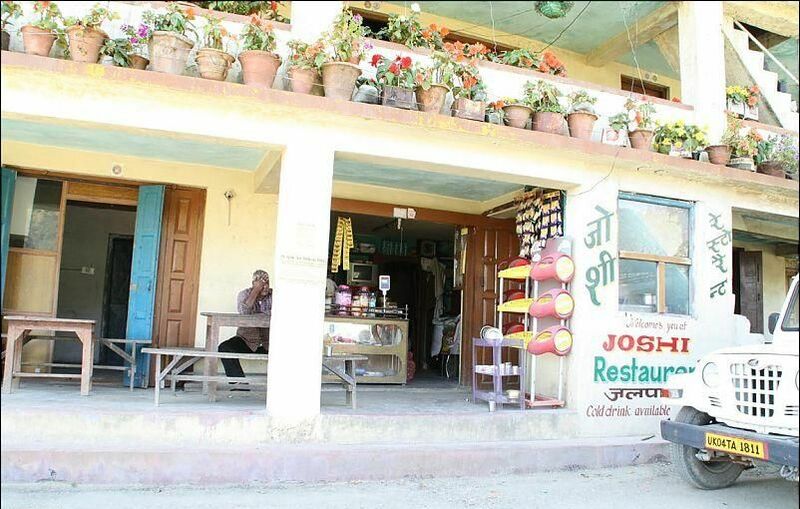 We stop the car at Joshi tea stall, a gentleman with a big smile and warm hospitality welcomes us as if he knew we were to arrive. He shows us the directions and the route to the cave on the opposite mountain. 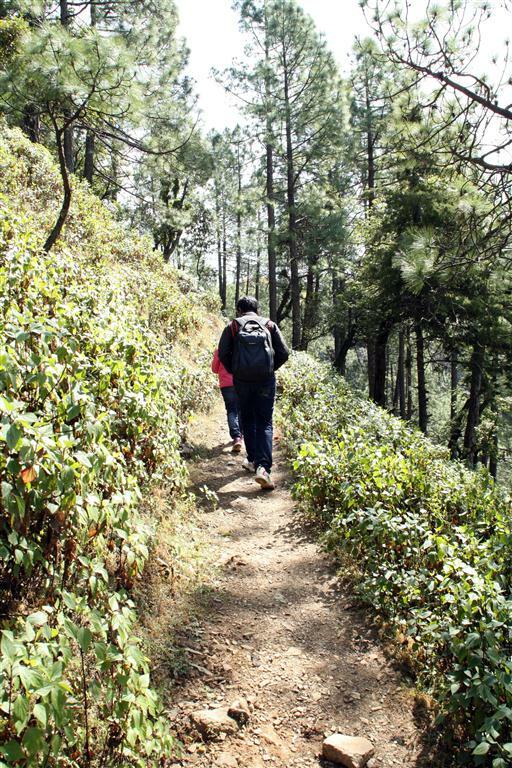 The car can be taken 2 kms further through a rough patch, where it can be parked comfortably at the foot of the mountain to start the trek. 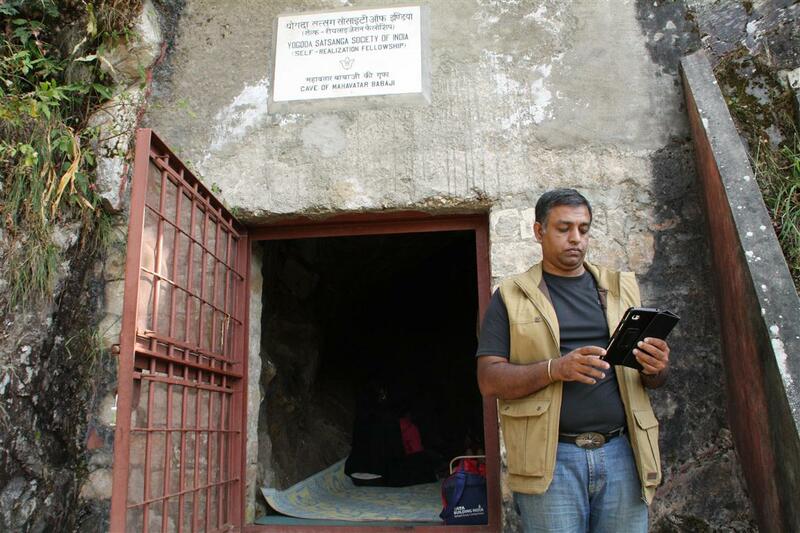 From Mr Updhayay (owner of Holm Farms) we came to know about Mr Joshi who can assist in getting the key to cave as its locked the key is with the local person in Kukuchina town. He could not be reached that day we started our journey hoping for the best. 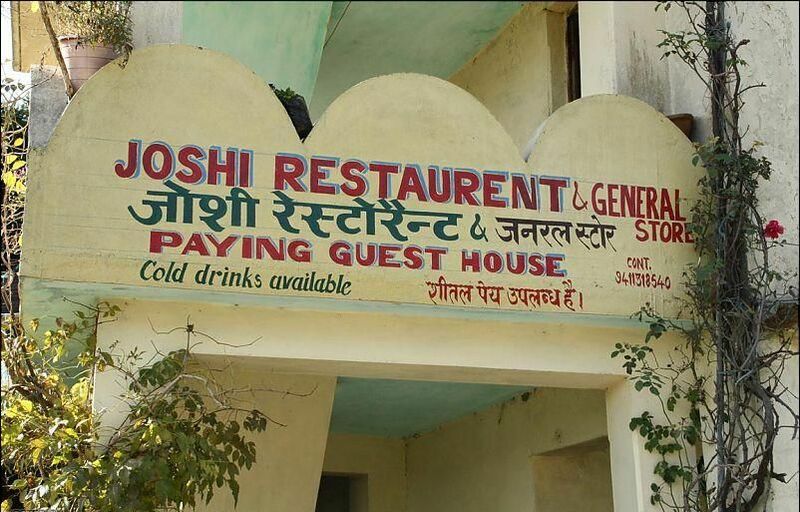 Luckly Mr Joshi was available at the restaurant and we came to know that cave is open and a Dr family from Mumbai has just left to the cave. 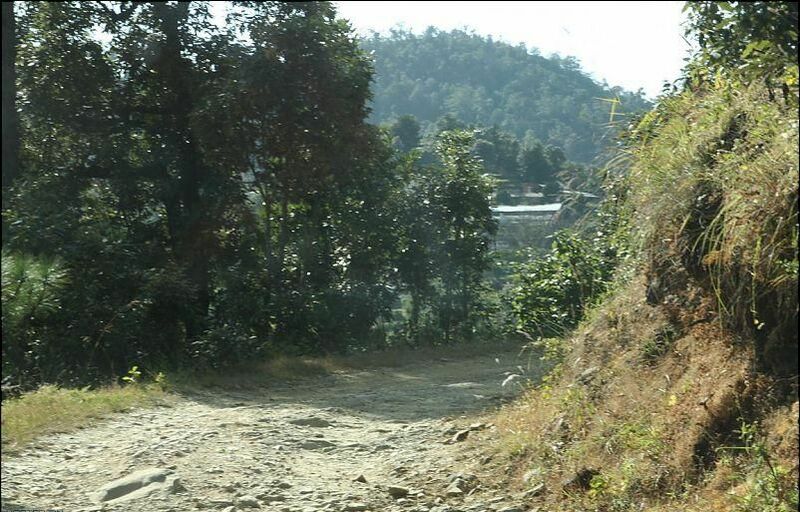 From the restaurant ,there is 2 kms walk/drive through the narrow road which leads to the base of the mountain, the road is very narrow , but with little effort one can drive to the base of the hill. 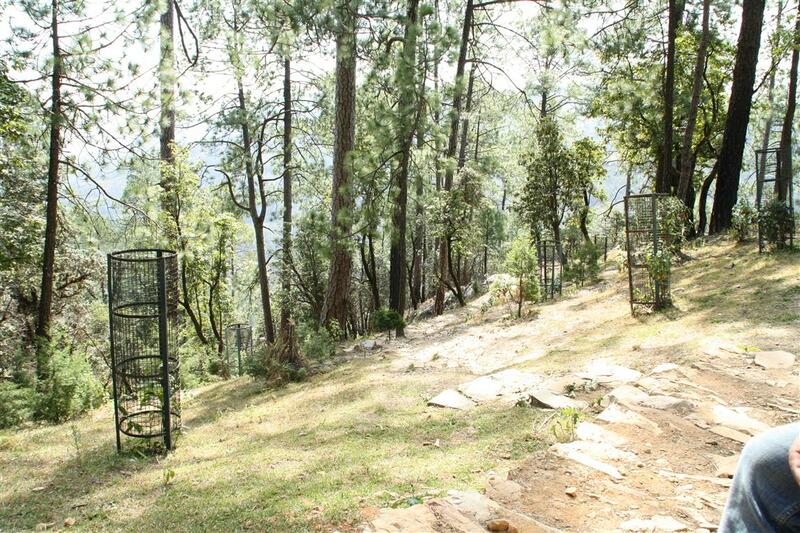 We carry a bottle and fill water from the small stream flowing, have handy some dry fruits & biscuits. 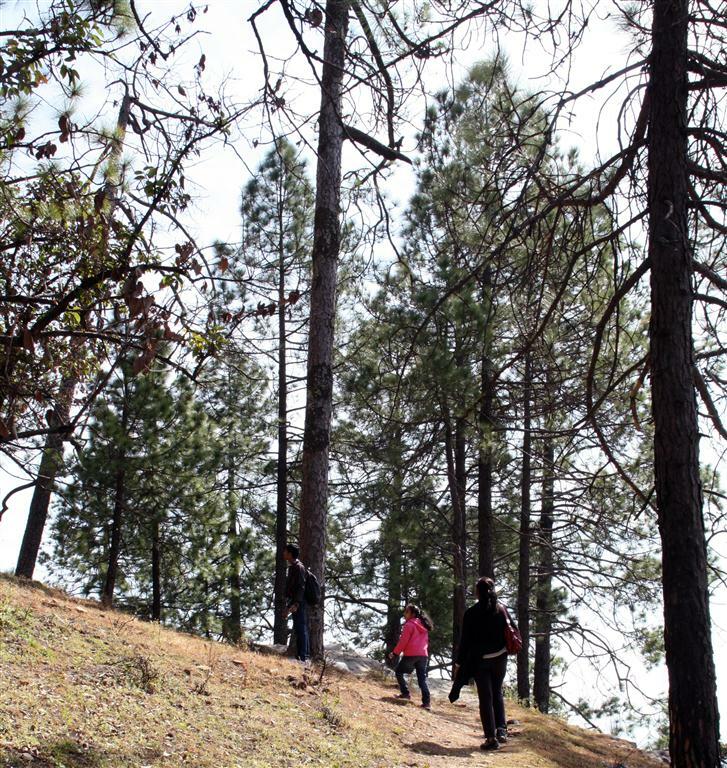 The climb is not tough, as my little daughter aged 8 and son aged 13 made it up with great pace. Inbetween we take rest on the rocks to control the acclerated heart beat. It took us an hour to reach the top. 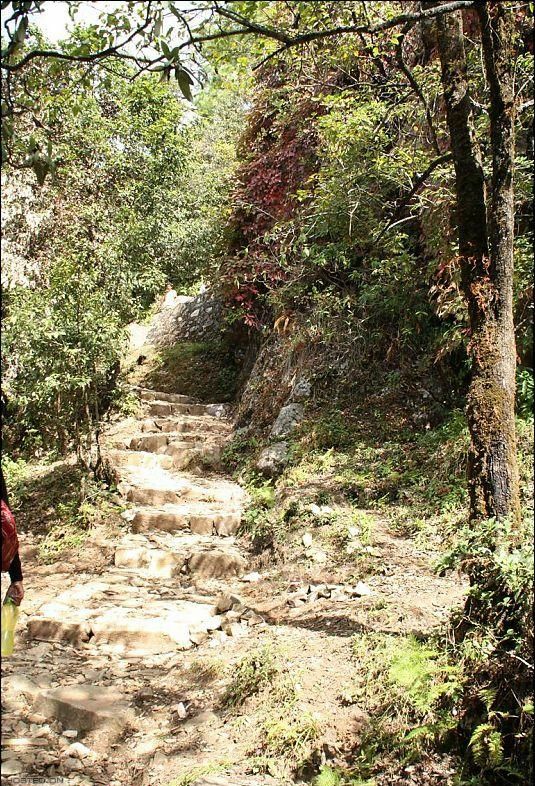 The last part of the climb is steep. 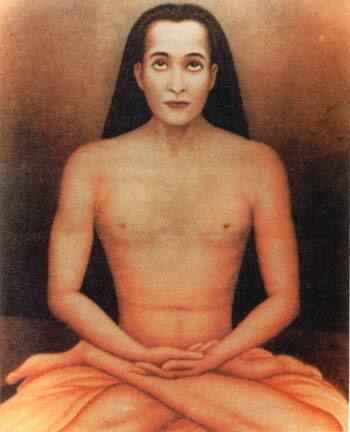 The very thought and belief in Babaji can make the journey more easier. An hour meditation in the cave gave us the boost and energy, and wiped out our tiredness. The place bounds in positive vibrations and the beauty of solitude and silence.